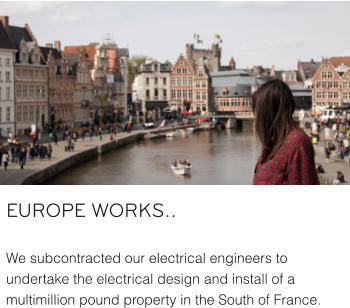 We subcontracted our electrical engineers to undertake the electrical design and install of a multimillion pound property in the South of France. 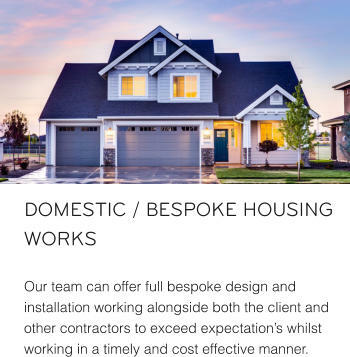 Our team can offer full bespoke design and installation working alongside both the client and other contractors to exceed expectation’s whilst working in a timely and cost effective manner. 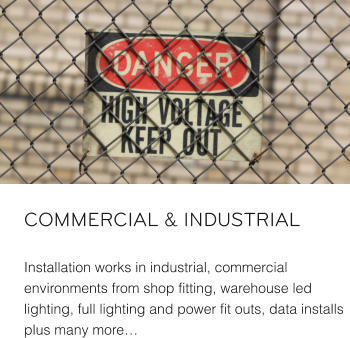 Our inspection and testing team ensure all tests are carried out safely and to the highest standards. 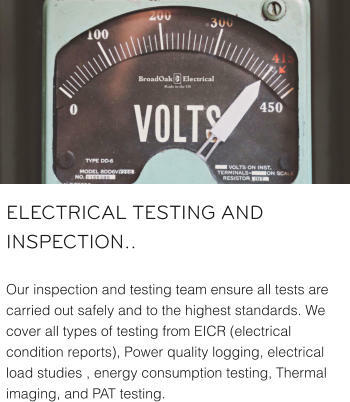 We cover all types of testing from EICR (electrical condition reports), Power quality logging, electrical load studies , energy consumption testing, Thermal imaging, and PAT testing. 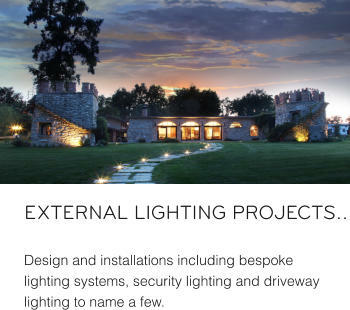 Design and installations including bespoke lighting systems, security lighting and driveway lighting to name a few. 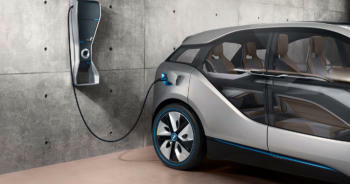 We can offer bespoke design and installation to suit any project for Home automation, & Entertainment. Some examples of systems we deal in are Lutron, System Line, Rako, & Elan systems. 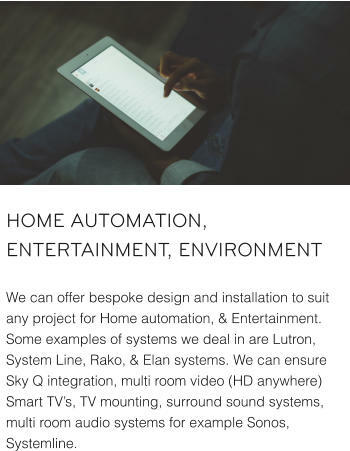 We can ensure Sky Q integration, multi room video (HD anywhere) Smart TV’s, TV mounting, surround sound systems, multi room audio systems for example Sonos, Systemline. From controlling power outlets, lighting, curtains / blinds, & heating controls, from a touch of a button / multimedia device we can help. 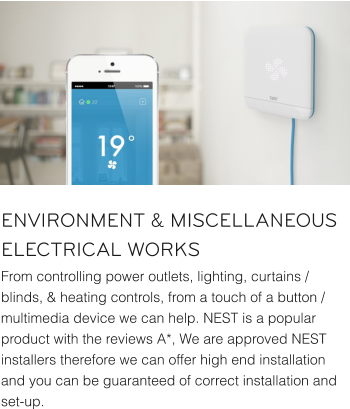 NEST is a popular product with the reviews A*, We are approved NEST installers therefore we can offer high end installation and you can be guaranteed of correct installation and set- up.